While visiting the Square Enix Collective site, I noticed a new game was on the list. The art just immediately dragged me into it. I've played some amazing JRPGs (Japanese Role Playing Games, for those of you who don't know) over the course of my gaming life. It doesn't take much to conclude that developing a JRPG is a long process. Truth is, Square Enix is one of the most respectable JRPG developers around (if not the best). So, if you want to develop one, Square Enix is the name to look up to. That's what's engrained in the blood of War of Zodiarcs. A game that combines classic tactical gameplay with cards and dice (nerdgasm). You play as the hero Weiss, meeting other characters along the way and battling it out a board like scenario. What's most interesting about the game is the incorporation of a deck of cards and dice, which add the element of chance and takes the tactical aspect of the game to a whole new level. Same as Weiss's journey, the development team embarked on a mission to take their project to its "coming of age". Jason Kim, founder of Cardboard Utopia, was kind enough to share some insight of the team's experience applying to Square Enix Collective 'cause there's always more to a game than the game itself. "One of the biggest hurdles for indies going for crowdfunding is just getting people to know about your project..."
The greatest threat for independent development (and there resides its bravery), is setting sail amongst an endless sea of games. If you get to shore well, you're one of the lucky ones. This is what's so valuable about organizations like Square Enix Collective. It gives you a spot next to a big name. Exposure. But also, it offers opportunities for upcoming developers to network and grow together (like this little indie blogging space I call home). "Starting to build a community around the game was one of our main goals with the Collective, and Square Enix has exposed a lot of people to our project that we would not have been able to reach at such an early stage. It has also been great experience for an eventual crowdfunding campaign." It's amazing how crowdfunding has helped otherwise penniless geniuses bring their ideas to life. The video game industry has greatly benefited from the kindness and keen eye of strangers, diversifying the scene with great and memorable titles, but above all things, great and memorable ideas. 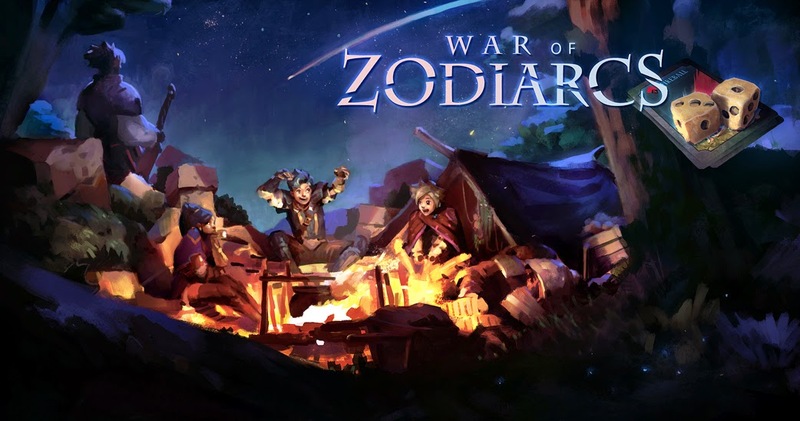 War of Zodiarcs is a clear example of a great idea in need of support. "The Collective campaign was a very clear, definable milestone for the art and narrative, so it was a good motivator for us to really push those aspects forward." I ran a search on google and actually stumbled upon the music for the game which I'd like to sum up as Final Fantasy meet The Legend of Korra (pure EPICNESS). I'm really looking forward to getting my hands on this game and hopefully bringing you guys a lot more information on War of Zodiarcs upon its release around mid 2015. To find out more about the game's development, visit their Square Enix Collective pitch! Also, show them some love on their Twitter and Facebook!